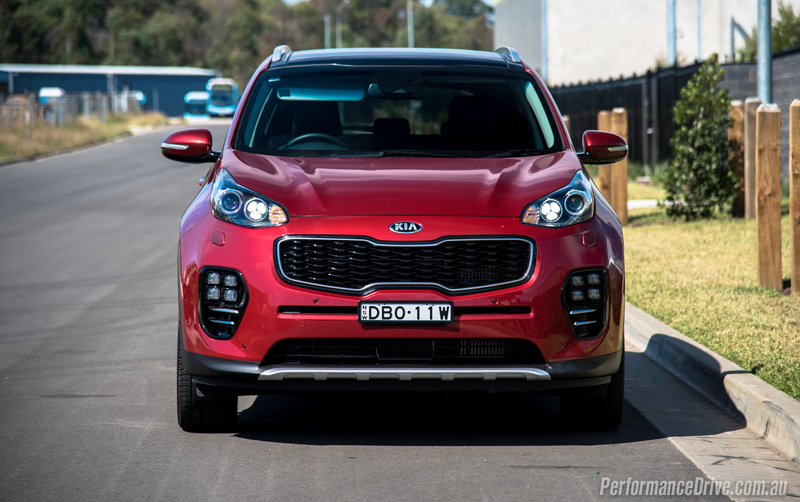 Kia’s latest strike on the ever-popular and ever-growing mid-size SUV segment has the potential to be one to throw straight up onto your shortlist. 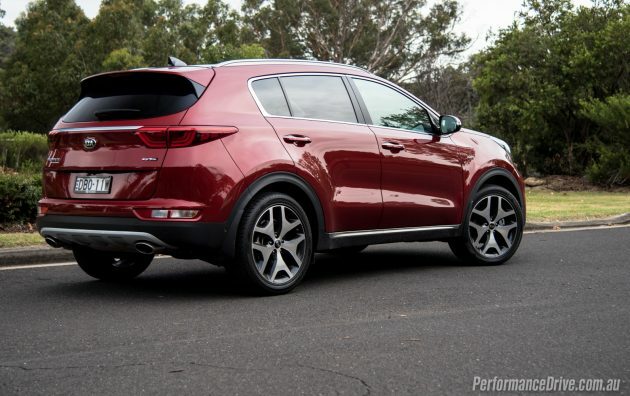 This is the new 2016 Kia Sportage. 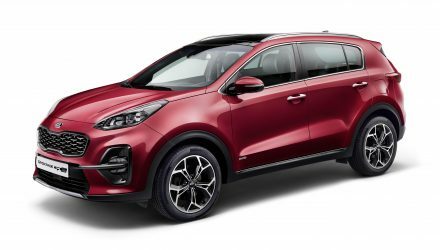 The Sportage underwent a major update earlier this year, taking on a more sophisticated and more modern attire, while shedding its old interior to reveal a smartened up and more practical abode. Here we’re testing the cream of the three-variant crop; the Platinum with the more favourable – in our opinion, explain later – 2.0-litre turbo-diesel. The engine produces a segment-shaking 136kW and 400Nm, matched to a six-speed auto with all-wheel drive. 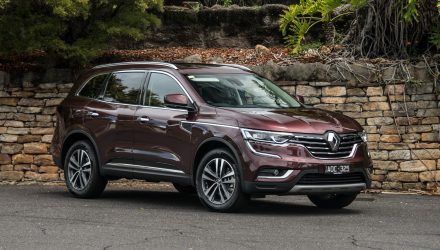 Platinum buyers are also offered a 2.4-litre petrol developing 135kW and 237Nm, while lower-spec Si and SLi buyers are offered a 114kW 2.0-litre petrol or the diesel. Prices start at $28,990 for the Si 2.0i, and top out at $45,990 for this Platinum diesel (excluding on-road costs). Kia has made various refinements to the interior of the new Sportage, reducing the amount of scratchy plastics in favour of higher quality, sound-absorbing soft-touch rubbers and plastics. It has certainly improved the cabin environment. 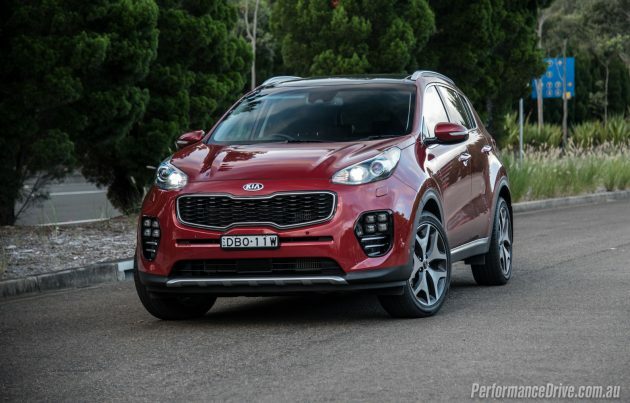 The Sportage is quieter to drive and more homely and welcoming. 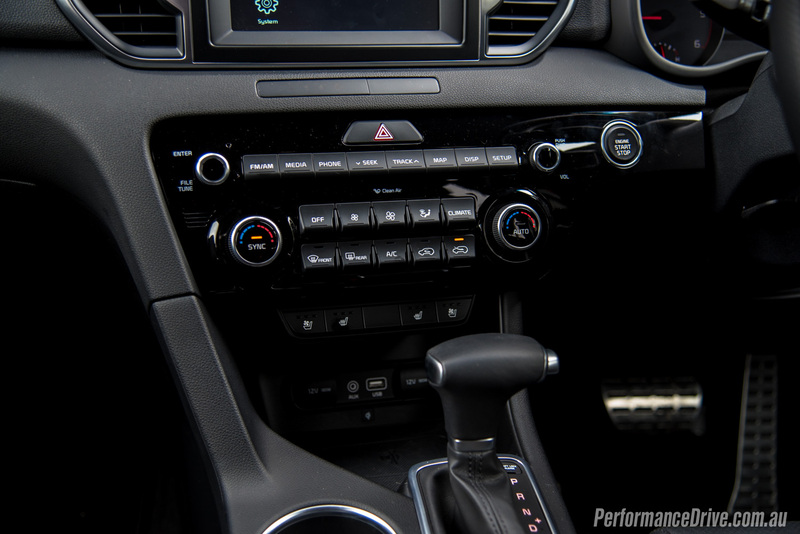 Some practicality revisions have also contributed to a better interior, including the introduction of rear climate vents for the passengers, and a completely overhauled user interface with a comprehensive 7.0-inch touch-screen display for all variants. 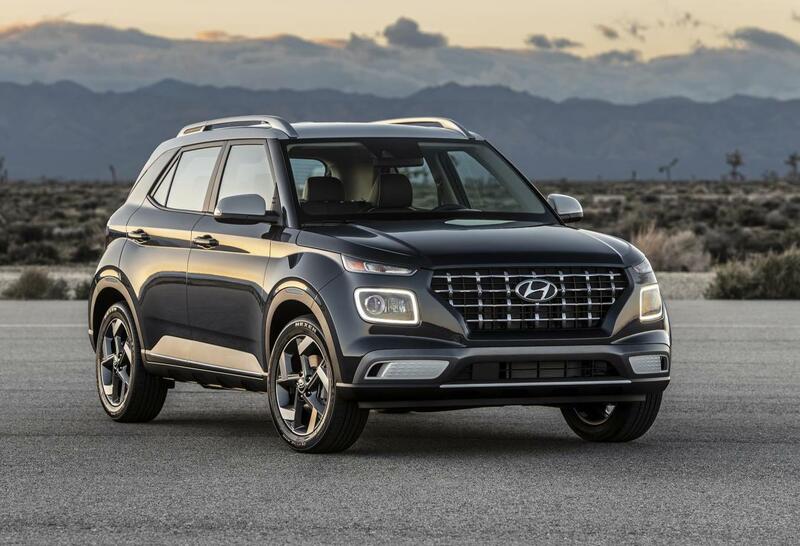 The South Korean, Hyundai-owned company will soon jump on the Apple CarPlay and Android Auto bandwagon, offering both facilities for savvy drivers in the near future. The cabin environment is quite nice and, dare we say it, European. Most of the tones and shapes are subtle yet distinctively modern, and there’s a few areas that show relatively high attention to detail too. 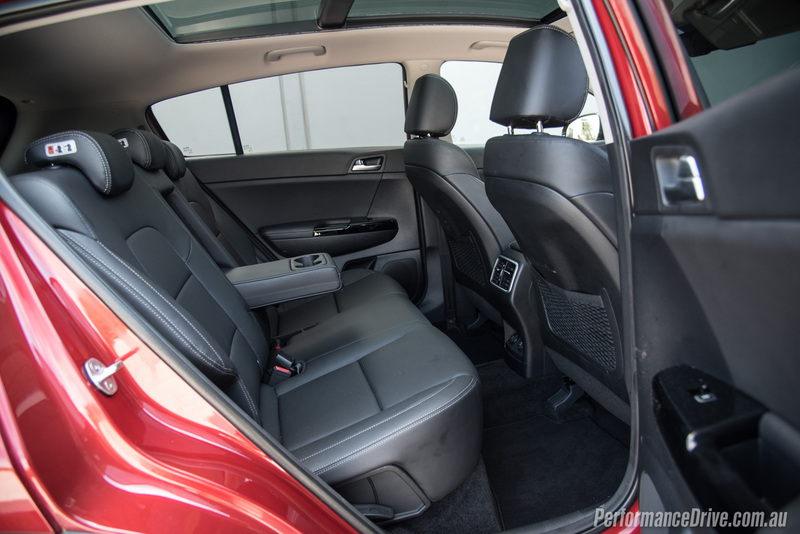 Seating space is within the acceptable tolerances for this class, with a surprising amount of headroom even in the back. 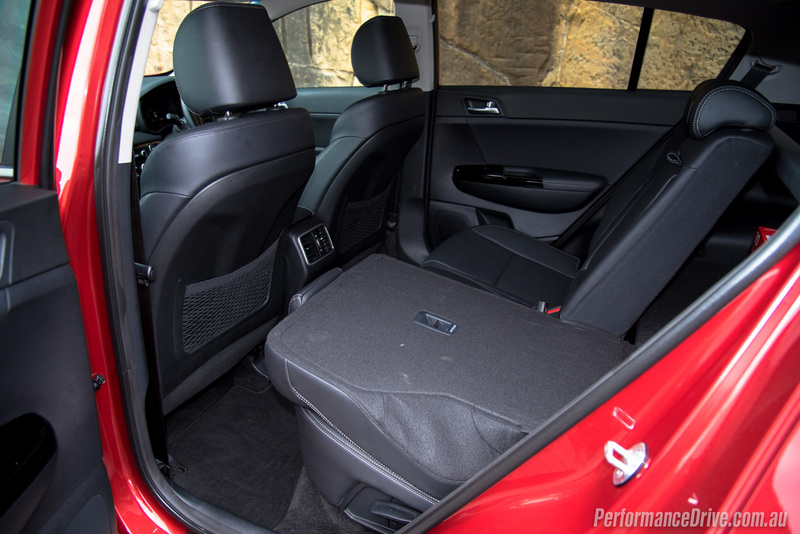 Cargo space has actually increased over the predecessor, by one litre, to 466L. But we think this has something to do with the loading space being 35mm wider; we’re sure the overall height of the opening gap is shorter. And it’s the same Euro theme with the exterior. 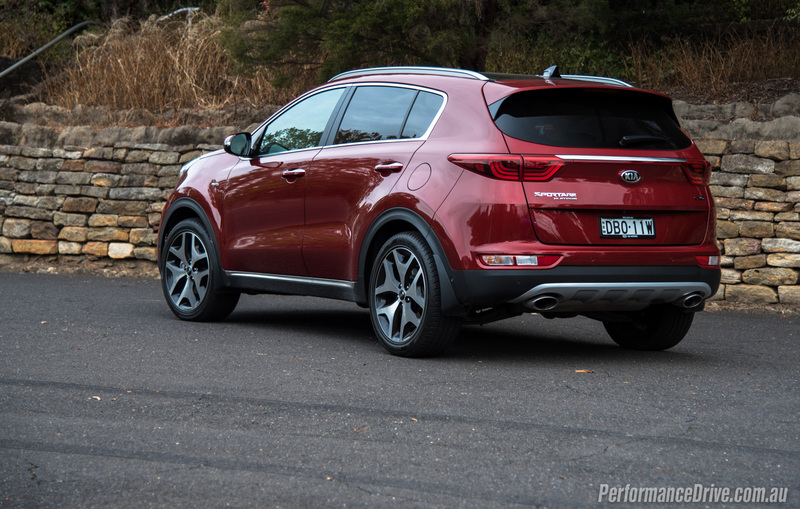 Kia designers have wedged in an extra 30mm to the wheelbase for more passenger room, however, this helps to give the Sportage a purposeful and low-profile stance. 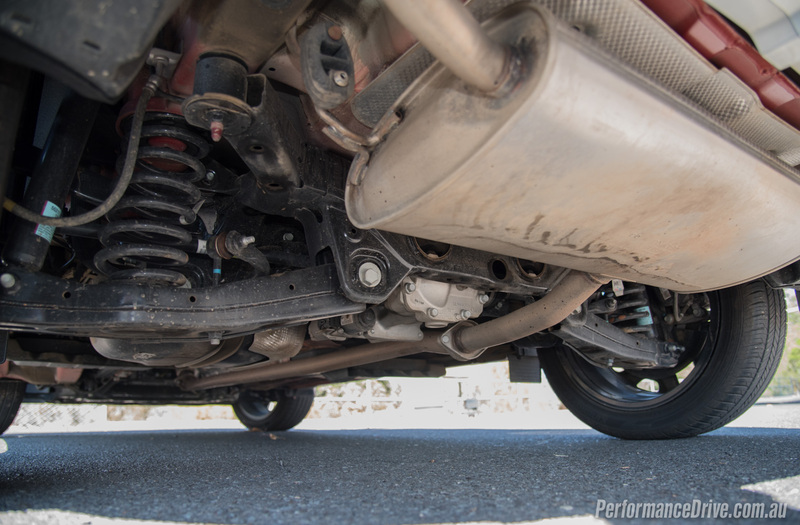 The rear overhang is reduced by 10mm while the front overhang is increased by 20mm, amplifying the pouncing profile. In making these changes, engineers were able to see the aerodynamic drag co-efficient drop from 0.35 to 0.33. This means it cuts through the air with less resistance. Enough of the comparison with the previous model though. 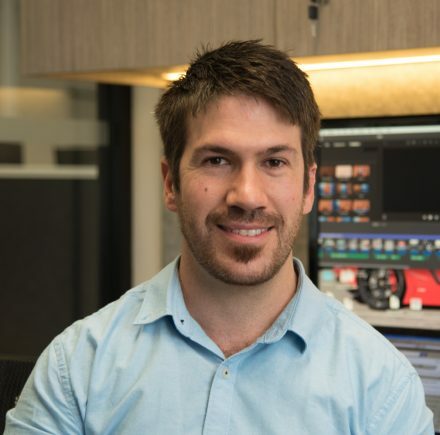 How does it shape up against the competition? 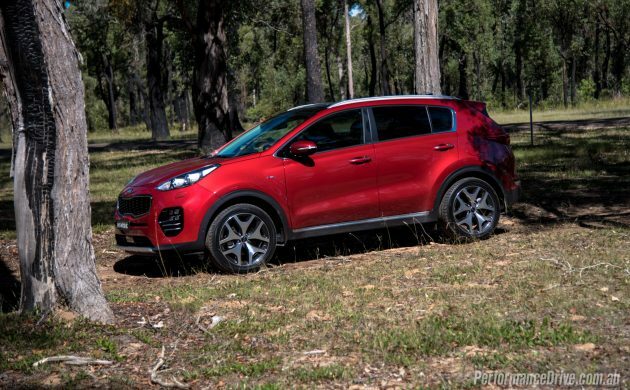 In terms of space, atmosphere, and features, we have no problem saying the new Sportage is one of the most attractive propositions out there. 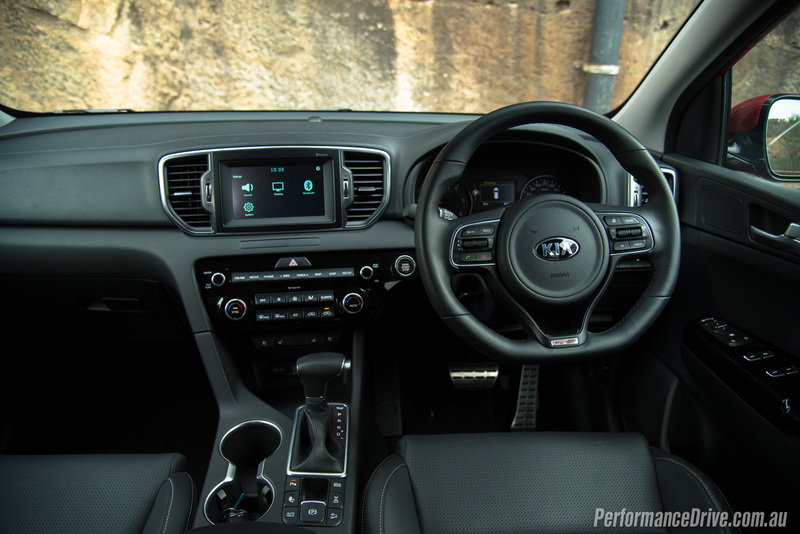 We’ll be doing a comparison review soon with the top-spec RAV4, and even from that, jumping straight into the Sportage, the Kia cabin is noticeably more comfortable and ergonomic; it’s the preferred place to sit. 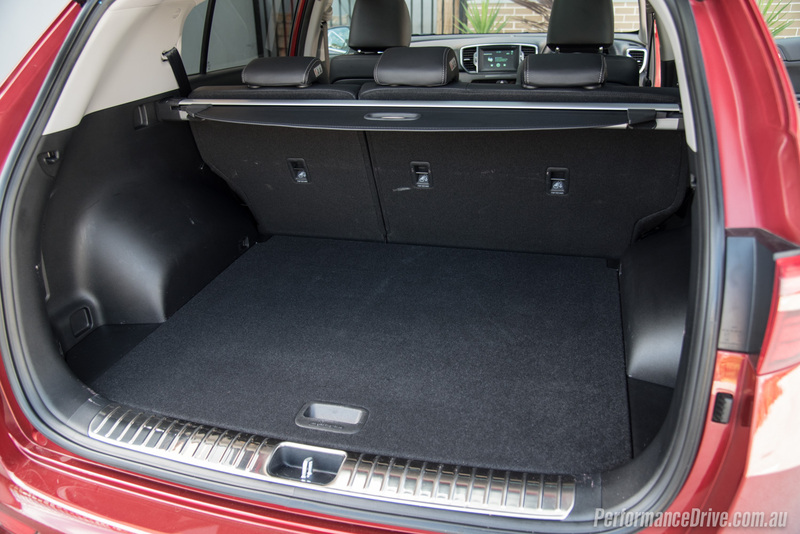 As standard, the Sportage Platinum comes with all of the bells and whistles you’d expect on a top-line mainstream SUV. 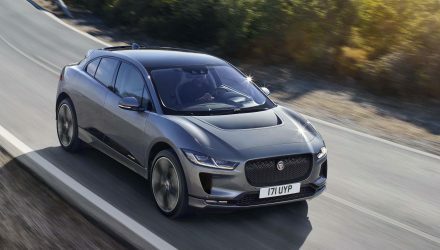 There are multiple USB ports (including one for the rear passengers, and a 12V socket), leather seats that are heated and cooled in the front, sat-nav, a rear-view camera with cross-traffic alert, bottle holders in all doors, auto wipers and auto HID headlights with automatic high-beam technology, and a panoramic sunroof. 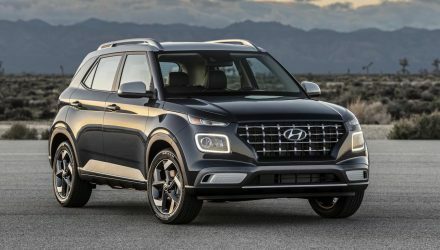 The Platinum also gets forward collision warning, blind-spot sensors with lane-departure warning, and a power tailgate for added convenience. 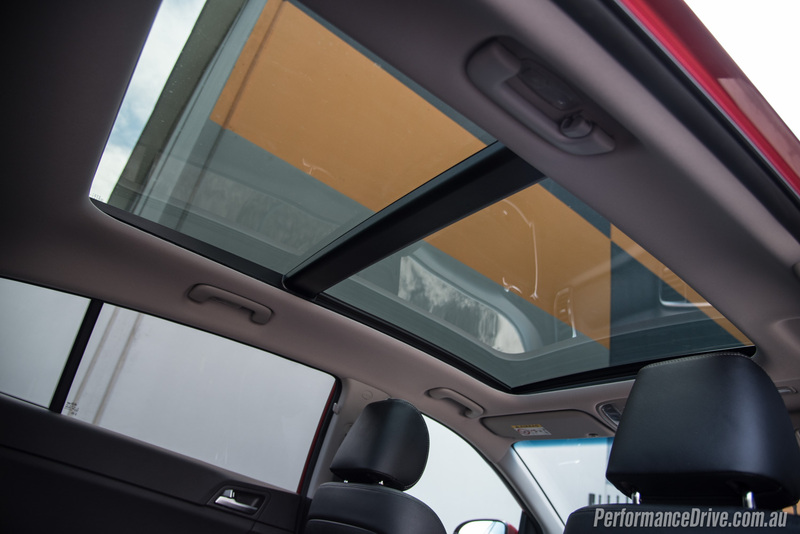 ANCAP has given the new model a five-star safety rating, with a score of 34.62 out of 37. 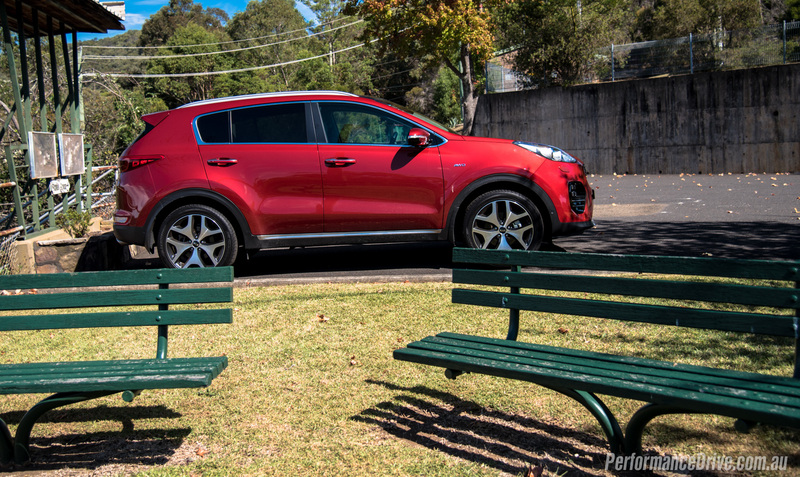 Out on the road, the Sportage is a relaxing drive. And we mean that in the true sense of the word. 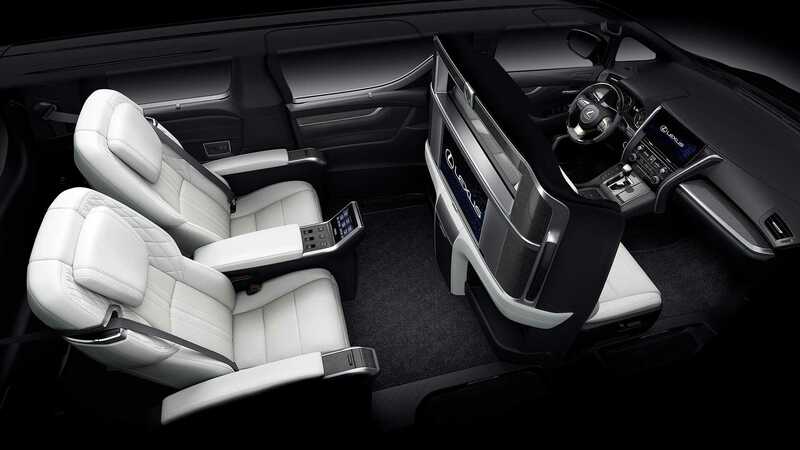 From jumping inside, which requires a mere slide of your bum onto the seat (no climbing up or curling down), to operating the main controls; this thing has been designed for everyday drivers. Visibility is good in all directions except through that low-profile rear windscreen, and all external proportions of the car are easy to judge when parking. Although, the new high and bulky nose makes it slightly less predictable compared with some of the rivals, at least initially. 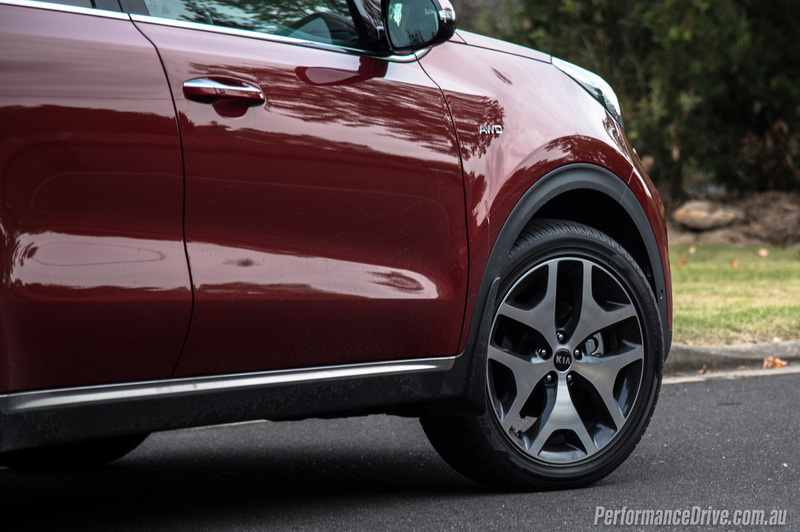 Up the pace out in the country and the Sportage will respond surprisingly well, especially in Platinum guise with its 19-inch alloy wheels and low profile tyres (245/45). 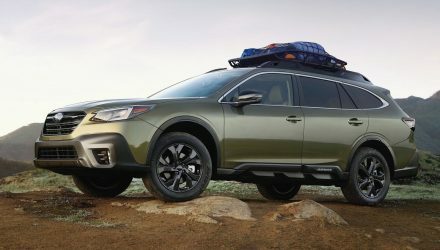 It’s a big step ahead of the previous model, offering a more wholesome and together driving feel. 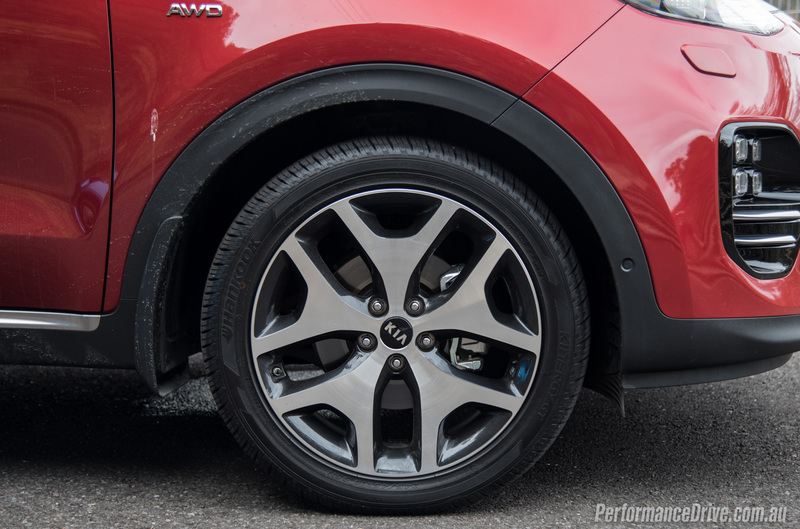 Turn in is moderately sharp without being too sensitive, with high grip from the tyres and platform. There is some body roll, as you would expect, but overall body control through transitions from left to right is commendable. Engine performance is respectable and certainly meets and even surpasses some of the benchmarks in this class for a diesel. We timed 0-100km/h in 9.61 seconds. 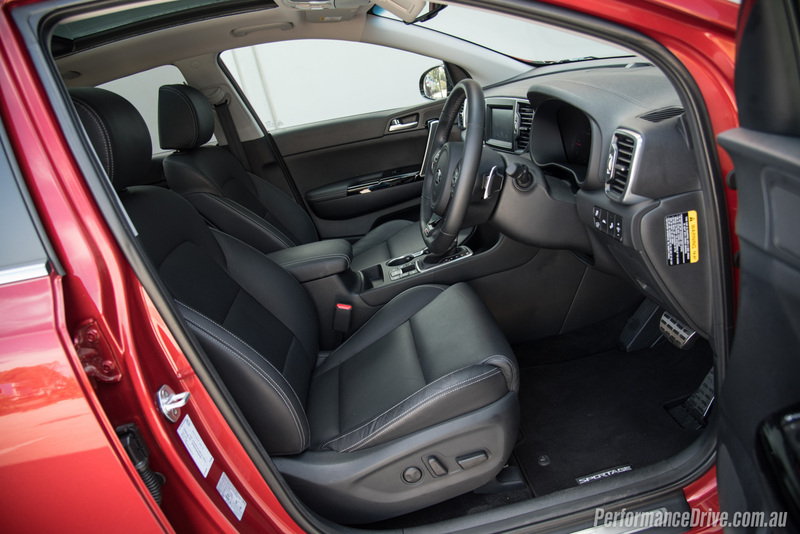 This is pretty good for a mid-size diesel SUV. 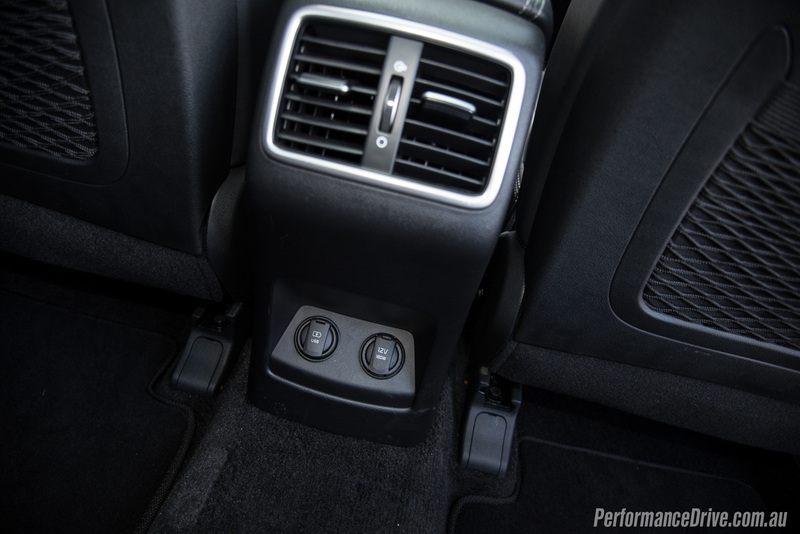 Roll-on acceleration is more rewarding, with that 400Nm available from just 1750rpm. This means it has no trouble at all overtaking or surging up long steep hills even with a full load on board. As for the argument whether to go for the diesel or the 2.4 petrol? It’s an easy decision in our view. 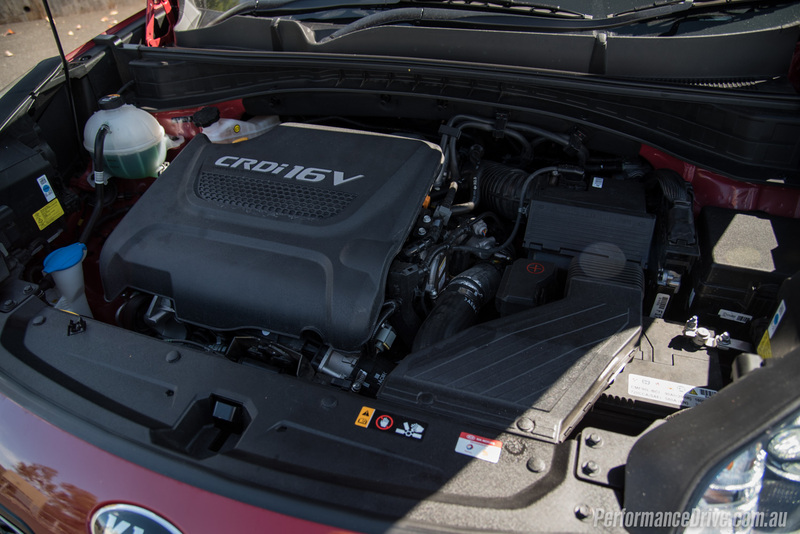 The diesel offers significantly more torque and it’s available in the most commonly used parts of the rev range. The diesel also produces more power. 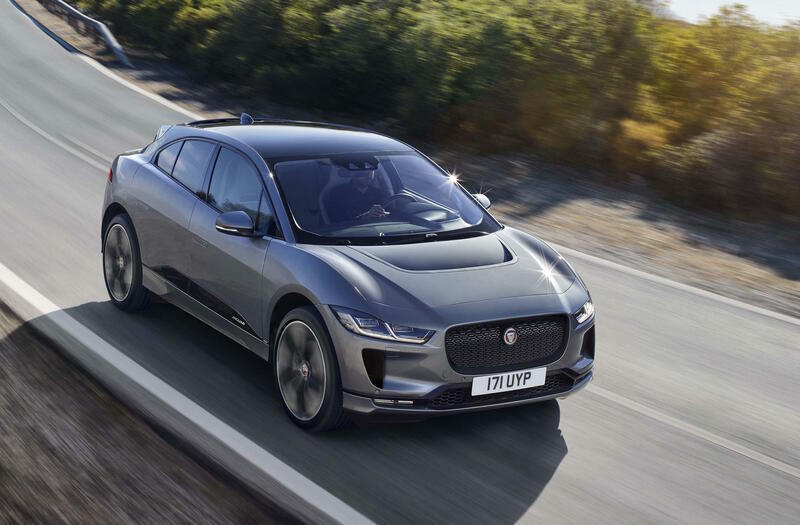 Yes, it is only 1kW extra, but when you consider the average fuel consumption of both, it’s an achievement in itself that the diesel is able to produce more power while using less combustible liquid. (Official average for the petrol is 8.5L/100km versus 6.8L/100km in this). We suspect the real-world consumption would also reflect a similar difference, or even spread the gap further. We achieved around 7.6L/100km in mixed conditions in the diesel. Is there anything not to like about the drive experience? 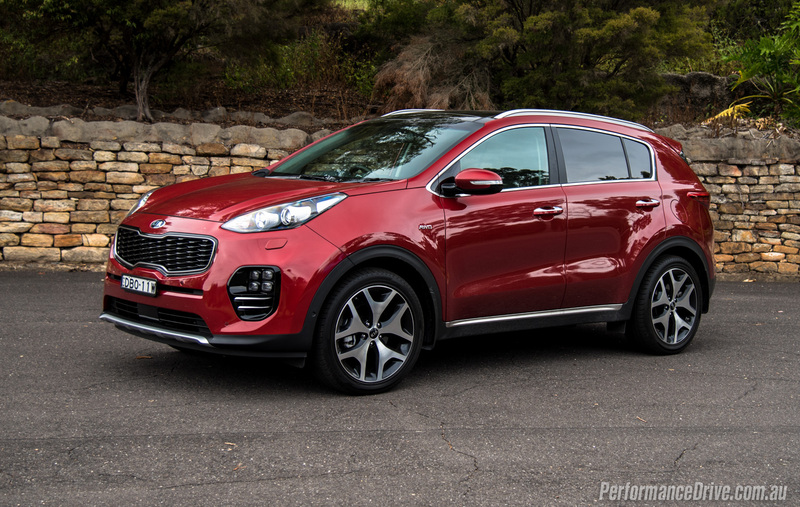 Actually, the new Sportage is a very likeable vehicle. There aren’t really any major downsides. 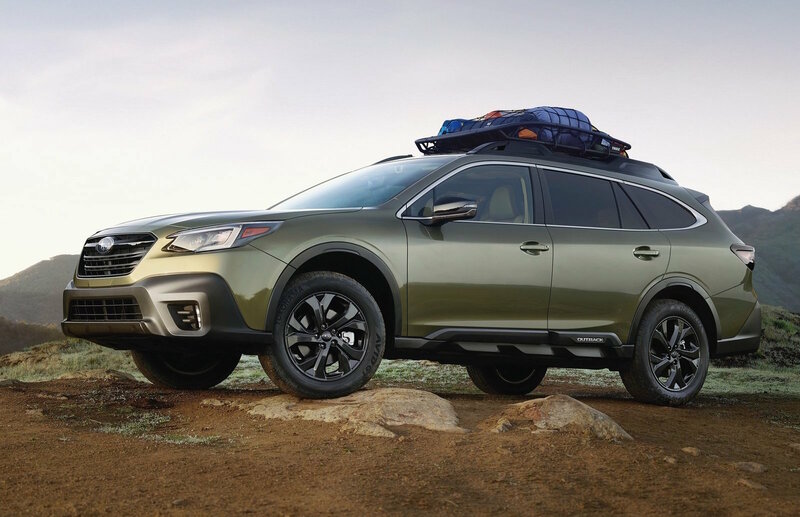 If you’re planning on going off road you might want to think about the Si or SLi as they don’t come with these big alloy wheels and low-profile tyres. We did notice some hesitations with the six-speed auto on this test car as well; there were a few times when the engine almost stalled during very low speeds. This could be related to this specific vehicle needing a service or something, or being abused by journalists. If you’re in the market for a mid-size SUV, the new Sportage is now a true competitor. The level of refinement, build quality, and performance and efficiency are at international standards. 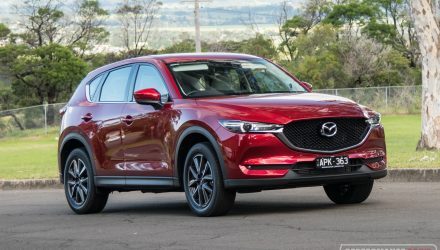 This does come at a price though, with the latest model priced right alongside its well-established Japanese stablemates. 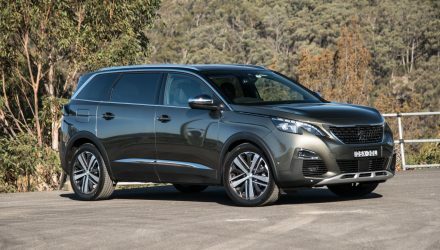 In fact, the prices might come as a shock to those who regard Kia as a cheap and cheerful brand. As mentioned, if you can stretch to its price premium the diesel is the pick.